There is something quite special about this time of year, and the tradition of decorating for Autumn is becoming bigger and bigger here in the UK. Something adopted from our friends across the water in America and Canada, it is something I am extremely happy about. Any excuse to dig out the decorations has me doing a little happy dance. 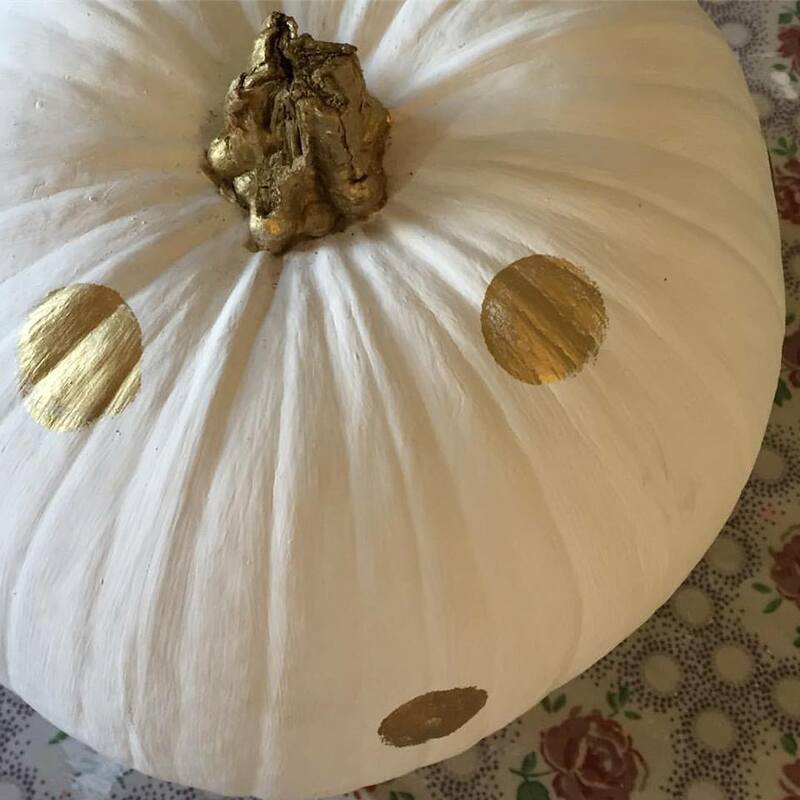 The tradition of carving pumpkins is still rife, however there are so many other ways to decorate a pumpkin and with the help of Pinterest you'll know exactly what I'm going on about. I love the fact that it isn't all about jack o lanterns now and that pumpkins represent autumn as opposed to Halloween. Last year I met up with Laura from Life by Laura for a little crafty get together at my place where we both opted to paint our pumpkins as opposed to carving them, who says pumpkins need to be orange? 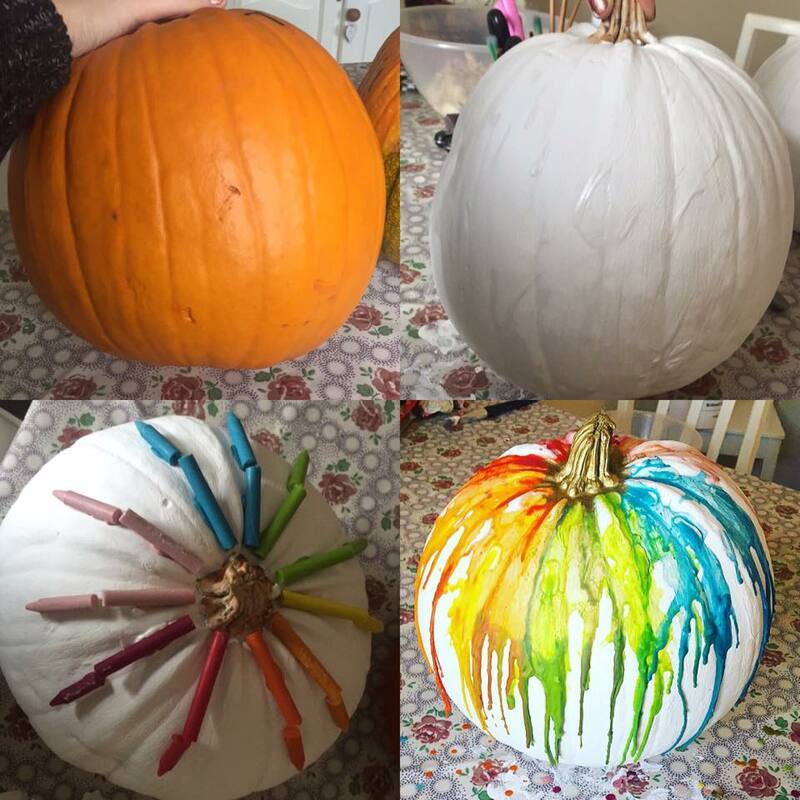 We both started off with white paint, giving our pumpkins a couple of coats to ensure the orange could no longer be seen. Then for me, I used a sponge to paint on gold polka dots. Very pretty right!? Laura on the other hand decided to take it to the next level and dug out the crayons and heat gun. First gluing the crayons to the top of the pumpkins to hold them in place and then slowly melting the wax to create an amazing and colourful effect. Great for adding a splash of colour in time for Halloween that's for sure. 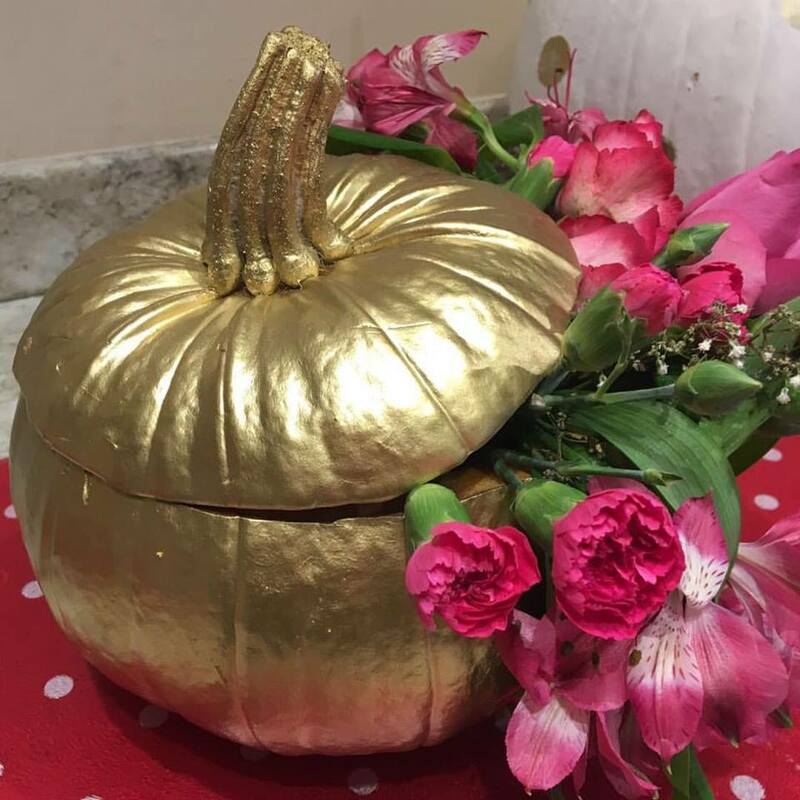 A second design I chose last year was hollowing out a pumpkin, then spraying it completely gold and filling it with pink flowers. It was perfect for a special little girls 1st birthday party and made for a great centre piece, plus it looked fantastic beside the white a gold polka dot design too. It just goes to show that a pumpkin can look just as good without having to carve it. So how are you decorating yours this year?